LEGO has done it again! From Lord of the Rings to Indiana Jones, LEGO has become quite skilled at turning some of our favorite movies into adorable block-built adventures. By no means though should you think that this game is only for kids ages 8-14 like most LEGOs. Despite its child-focused medium, there tons of laughs and references here for fans of any age. 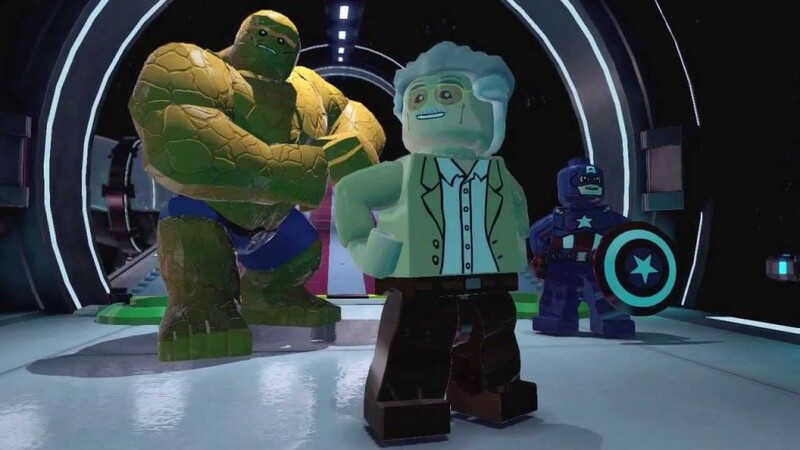 Instead of following a preexisting movie storyline, LEGO Marvel Superheroes has its own story that seamlessly brings the entire Marvel Universe together. Mixing humor and intense battle, this story hooks the player from the get-go and honestly just makes them enjoy the experience. There’s no need for cliffhangers or plot twists to keep you engrossed. This game doesn’t need them. You honestly will keep coming back to it just because it’s so much fun! Each level is split up into smaller sections, each with its own intricate but solvable puzzles. 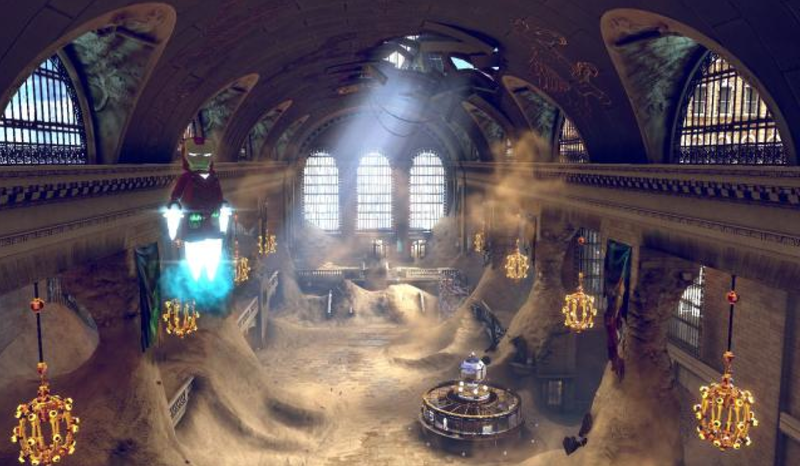 With some characters having the ability of free flight, it makes sense that the level designs are enormous for something that might seem so small scale. When you first get to New York City (full), don’t be surprised if you ignore the mission at hand and just explore instead. From Abomination to Wolverine, this game has every Marvel character you could possibly want. 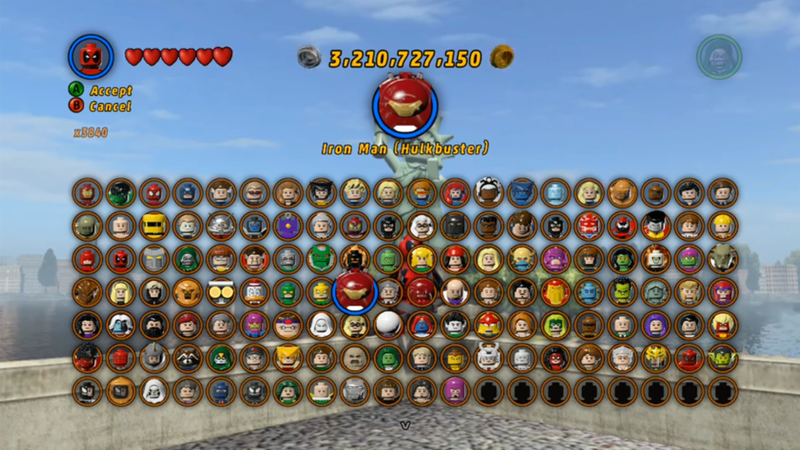 Not including DLC, there are over 150 unlockable characters. Just like their actual selves, each character has their own specific powers, which open up different areas of the game. So be ready for a lot of re-playability. And if you’re thinking the characters are just there in look, you’re wrong – personalities and mannerisms have all been incorporated as well. I’m usually not a fan of co-op games, but this one was actually a lot of fun. Keep in mind that you don’t have to use Co-Op mode and can complete 99% of everything in pure single player. The interactive Co-Op screen is very impressive considering it merges the split screen to a single screen when the players are close enough together. Sadly the fluidity of the split-screen experience is also its greatest downfall. Just as the divided split-screen can become one, the dividing line can also shift dimensions. Some past LEGO games have used this fluid screen as well. At times I felt incredibly dizzy and had to take a break for a second. Overall, I think this is an awesome feature, but would be much better if the split-screen division stayed as a vertical line – rather than rotating 180 degrees at some points and making me feel like I was watching a washing machine. 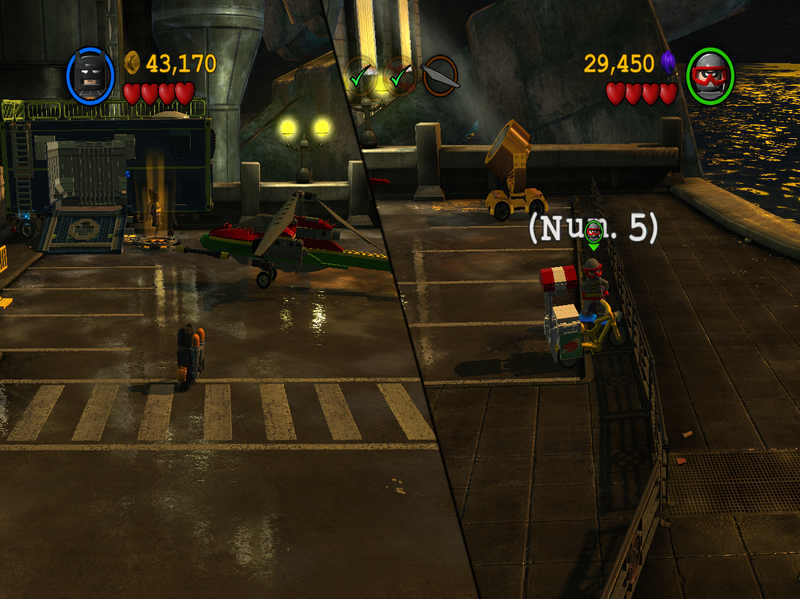 Even in the DC equivalent of this game, there was problem with the split-screen divider … rotating? In case you were wondering about the 1% you’d have to use Co-Op mode, it is only if you wanted to get every trophy. The ‘Don’t I Know You’ Trophy can only be achieved through Co-Op play with Captain America and Human Torch, which is hilarious if you think about it – which brings us to our final topic. Whereas extensive knowledge of the Marvel Universe isn’t necessary to enjoy this game, knowledge of the Marvel Cinematic Universe is a huge bonus. Not only will it help you recognize obscure characters such as Aldrich Killian (Ironman 3), but considering there’s an entire line of jokes based off of the actors themselves, you should know your movies. Remember that previously mentioned trophy entitled “Don’t I Know You” that involves pairing Captain America with The Human Torch? It’s a joke because Chris Evans portrayed both characters in the movies – they’ve never crossed paths in the films though. There’s countless other actor jokes, but two stand out above the rest in my mind. Have you seen the movies? Cause you really should have! The first movie tie in revolves around Nick Furry. In one side mission, a Shield Agent asks for your help ridding the Helicarrier of snakes and quotes Nick Fury as having said “Get these gosh-darn snakes off this helicarrier’. He then reveals he might have been paraphrasing. This is all a reference to the movie Snakes on a Plane who’s lead character was none other than Samuel L Jackson, who playing Nick Fury in the movies. Another great movie tie in is how all the characters sound quite similar to their movie incarnations; however, none do it better than Agent Coulson. Clark Gregg, who plays Agent Phil Coulson in the movies, also voices Coulson for the game. Coulson was a tremendous fan favorite and despite being killed off, was actually brought back thanks to his huge fan following – so having him actually voice his character in the game is just more icing on the cake. No Marvel Universe is complete without an appearance – or 50 – from Stan Lee. Though this time around he’s sporting powers of over half of our favorite heroes. The man, the myth, the legend indeed! Overall this is a genuinely fun game. Will it have the complexities and graphics like Assassins Creed, Metal Gear, etc? No, but that’s not what it’s aiming at. This is an easy game and is genuinely made for someone who wants to enjoy their time playing. 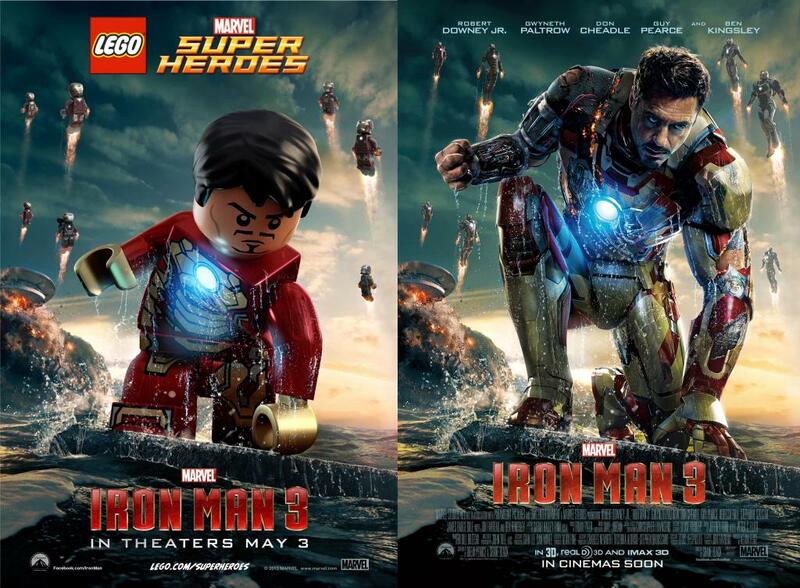 So take a break from all the plotted out missions, and just sit down for an hour and laugh as you take control of your favorite heroes in LEGO form.